The second phase of the awarded Interreg Nord project Visit Arctic Europe II is now up and running! Interreg's steering committee made a positive decision on co-financing the project, which will start immediately and run until March 31st, 2021. Project partners are Finnish Lapland Tourist Board, Swedish Lapland Visitors Board and Northern Norway Tourist Board together with 125 companies in the tourism industry all over the Arctic region participating in the project, an increase of thirty companies compared to previous project phase of Visit Arctic Europe. Over 70,000 new travellers to the region. 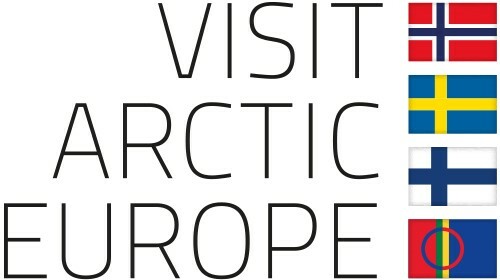 Visit Arctic Europe created in its first phase (2015 - 2018) groundbreaking cross-border collaboration in tourism sector among participating companies and organisations as well as destinations and resellers in the travel industry. This rendered over 70,000 new travellers to the region and 516 000 new bednights. Thanks to a successful collaboration Visit Arctic Europe was in November awarded "The Arctic Award" in the category "Overcoming Critical Mass" set up by Arctic Cooperation. The main purpose of Visit Arctic Europe's second project phase is to continue the cross-border work to develop Finnish Lapland, Swedish Lapland and Northern Norway as a full-year, sustainable and high-quality destination. Some headlines are to strive for improving cross-border connections, international aviation connections to the region and developing of low seasons in the area. - Thanks to the financiers and collaboration partners that allow us to take our joint work to the next level, Rauno Posio, Programme Director of Visit Arctic Europe. - We are so glad that we can continue the fruitful cross-border work together with our partners in Northern Finland and Northern Norway, that we are given the opportunity in progressing together," says Petronella Modin, Tf. Managing Director of the Swedish Lapland Visitors Board.